Robin Gibb has emerged from a coma that almost claimed his life and is eager to make music again, his family said. 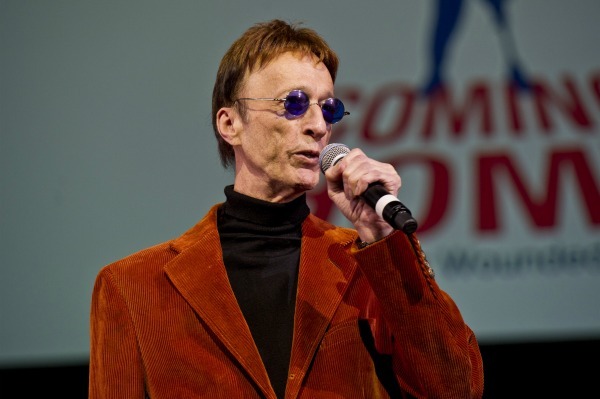 After being given a mere 10 percent chance of survival, singer Robin Gibb has emerged from a cancer-related coma and is eager to make music again. Gibb’s wife Dwina said the star is eager to leave the hospital after his near-fatal bout with pneumonia. “He is really happy. He just wants to get out,” she told ITV News. Robin-John even revealed that it was music that brought his father out of his coma — specifically, music that the ’70s disco star wrote, albeit in a very different vein than the casual fan might recognize. The 62-year-old Bee Gees star began his health battle 18 months ago when he was diagnosed with liver cancer after being rushed to the hospital for abdominal pain.